Park City municipal purchased the Bonanza Flat property in 2017. The property is located outside the city’s jurisdiction in Wasatch County. 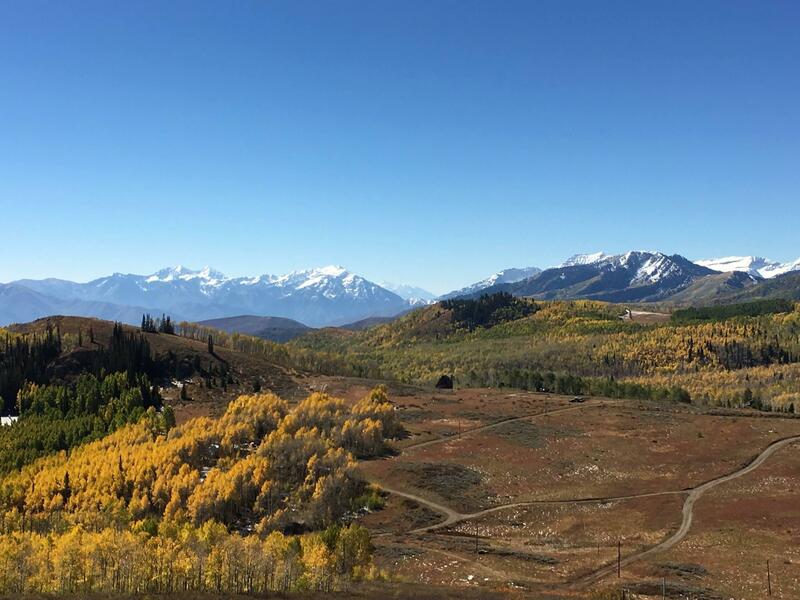 The logistics of a municipalities property in another county, continues to be a challenge for both Park City and Wasatch County. The latest discussion revolves around the right of way of Wasatch County roads on the property. At the Wednesday Wasatch County Council meeting County Manager Mike Davis clarified an earlier declaration made about Guardsman Pass Road, Pine Canyon Road and Empire Pass Road. The roads connect Big Cottonwood Canyon, Park City and Midway and are located within the Bonanza Flat property that Park City purchased in 2017. Davis says that the state designated the roads as highways about 90 years ago and later transferred the portions of state road, and the road’s right of way to Wasatch County in 1990. The county now has jurisdiction over the road, but Davis says Park City has asked the county to limit the right of way from the current 66 feet to 24 feet. Davis explains why the county wants to preserve the right of way. Although the right of way is 66 feet Davis says that the width of the asphalt on the roads vary from 20 to 35 feet, he doesn’t believe any future projects would use much more of the 66 foot right of way. Davis says Wasatch County along with the state did some safety improvements on the roads last year. Davis says that in addition to the 66 foot right of way the county also has jurisdiction to maintain cuts, fills, and drains as part of continued maintenance of the roads. Davis also noted in the Wednesday meeting that the road is used by members of the counties and even provides access for a state park. Wasatch County Sheriff’s Deputy, Jared Rigby says there have been safety concerns that people are parking on the side of the Guardsman’s Road. It causes a narrowing of the roadway so other cars cannot get through. This is the first winter that Park City has had ownership of Bonanza Flat, the 1,350 acres of open space at the top of Guardsman Pass. Now that ski season is upon us, Park City residents who are paying for 25 of the $38-million price tag may be wondering how they can access the open space they’re paying for now that Guardsman Gate is locked for the winter. As KPCW’s Melissa Allison reports, only Brighton Estate residents who purchase a $600 key can drive their cars on SR-224. Even so, the road continues to be open to the public by all other means including hiking, skiing and snowmobiling. As Part of Park City Council’s business last week, the panel approved batteries for their electric buses—and they heard about a planned improvement for their Bonanza Flat property. The Council last week approved an agreement to lease electric-bus batteries from Proterra. Council Member Lynn Ware Peek said there were a couple of reasons they were leasing the batteries.